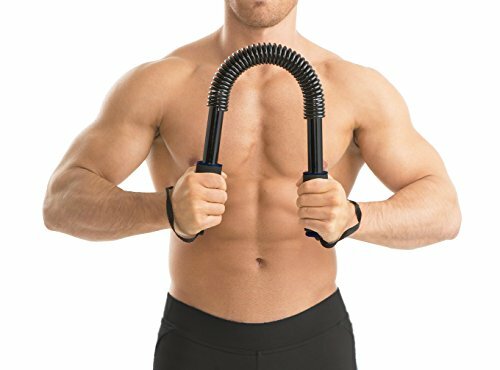 This 1UP Power Twister is a torsion spring exercise device. Which allows users to perform a Full Upper body workout without the need of different machines. Strengthen and tone the chest, shoulders, back and arms biceps and triceps. Features high-grade steel construction for strength and durability. Molded plastic grips provide security and comfort. Durable nylon wrist straps help prevent injury. Perfect for a portable exercise device for home, office or travel use. Carbon steel springs, high grade steel composition with soft Plastic grip handles. Strengthens the chest, back, shoulders, biceps, triceps and grip. 30KG perfect for beginners or Athletes. Attached Wrist support allows for secure workouts without the possibility of injury. Upper Body workout exercise for home gym. If you have any questions about this product by 1UP, contact us by completing and submitting the form below. If you are looking for a specif part number, please include it with your message.